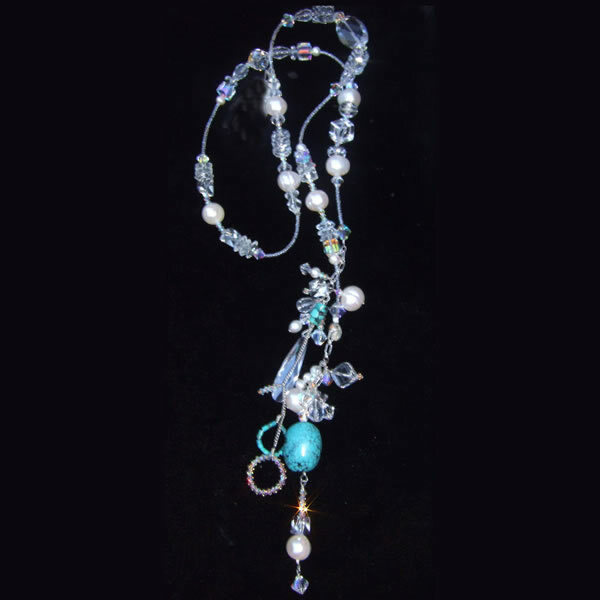 Designer Amy Leiner, a rising star in the firmament of one-of-a-kind jewelry -- her work has been worn at the Oscars, on Broadway and featured in Martha Stewart Living -- offers a simple tie necklace glittering with Swarovsky crystal, rock crystal, freshwater pearls and Turquoise. 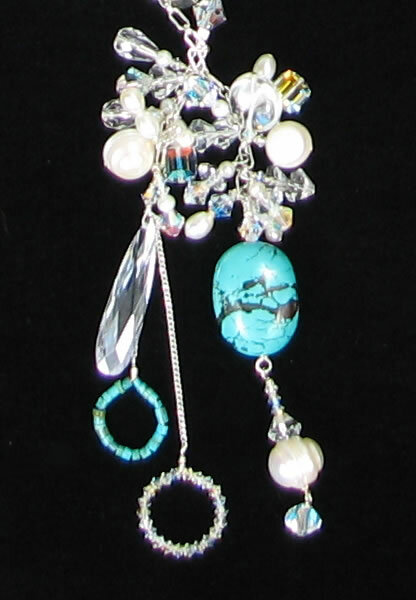 Looks great alone or dress it up even further with another strand of pearls. Measures 22 inches.